With every Fire Emblem game I’ve played, the thing I look forward to the most is recruiting new characters and learning about them through Supports. When I started Fire Emblem: Echoes, I wondered how good the characters were going to be. After all, Echoes is a remake of Fire Emblem: Gaiden, a game that came out twenty years ago, where the characters may have been too simple and not as dynamic as most characters typically are in modern video games. Luckily, Echoes takes the time to flesh out the entire cast, making everyone (with the exception of Faye) diverse and likable. Unsurprisingly, I had a hard time putting this list together because the characters are so well done, but here we go! 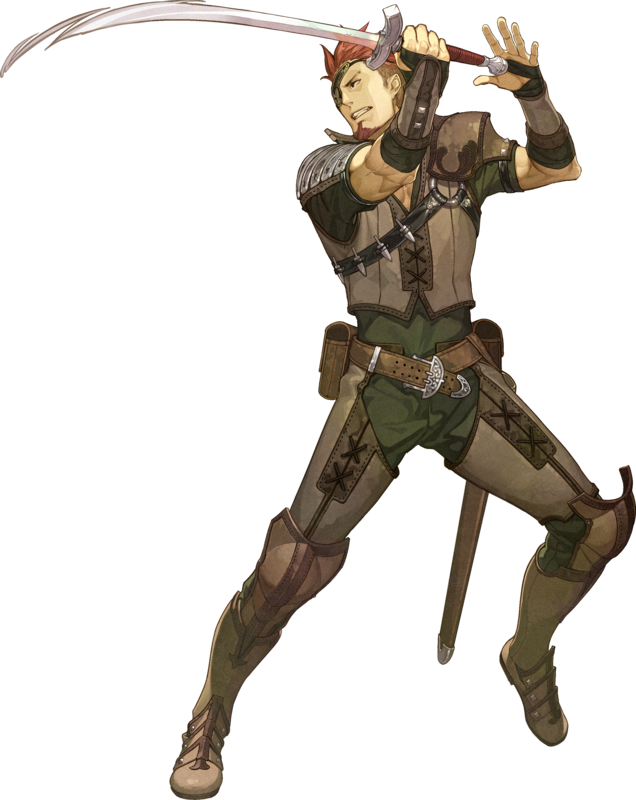 Alm is the straight and true protagonist, with strong convictions and feelings that guide his path as a hero. His campaign story may have been more straightforward and simplistic, but fortunately, his character is not. Alm is both confident and selfless to the point of recklessness, and his obliviousness to the jealousy of some of his close friends is quite amusing. He can even be full of himself and awkward at times, helping him stand out as a hero who isn’t just humble and duty-bound. 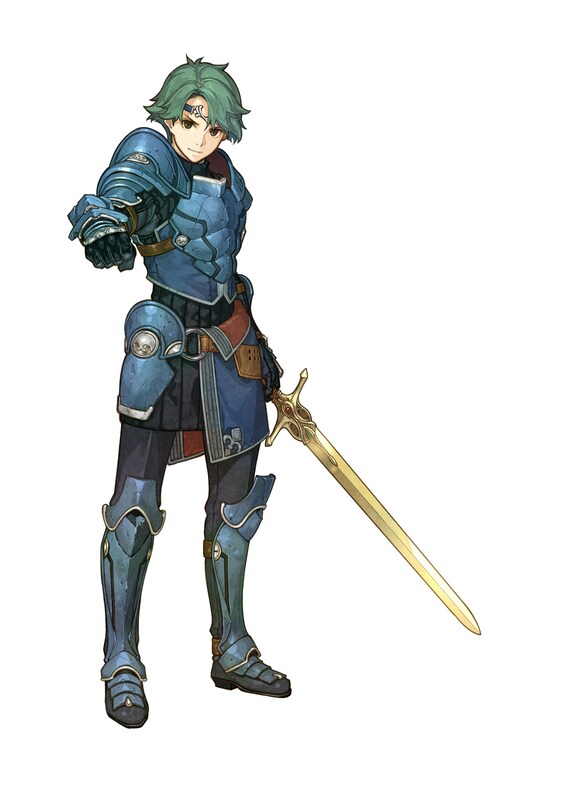 Alm’s ideals are tested, and because of this he grows immensely as a person over the course of the game. Despite being the crush of many female characters in the game, Alm’s relationship with Celica is front and center, and I completely bought their eventual romance. Celica is a complex heroine, and her story accentuates her naivete but strength of will as well. Trusting to a fault, Celica’s flaws don’t hamper her good qualities. She seeks peace without violence, and while this differs from Alm’s ideals, the two ultimately are able to see past their differences and remain close in bond. 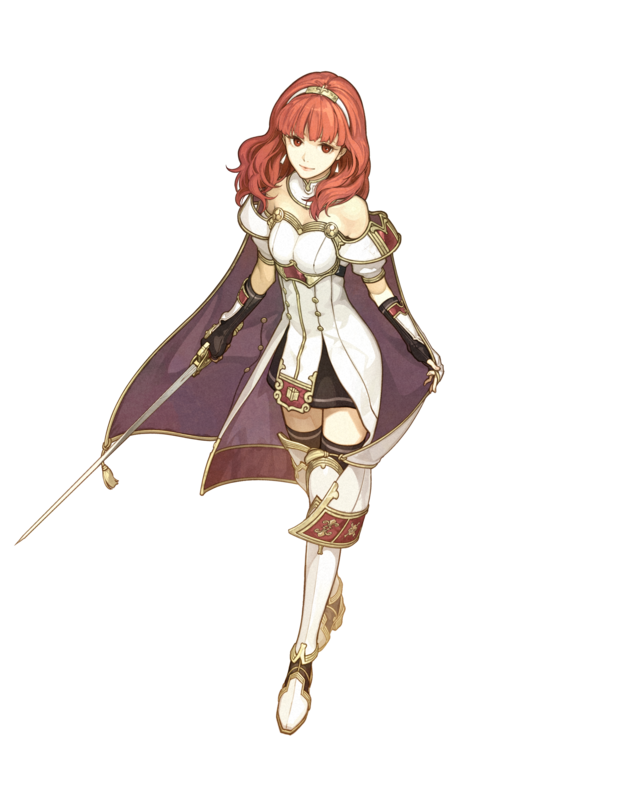 Celica is tested throughout the entirety of her story, but she rises to the challenge and becomes a stronger person every time. I thoroughly enjoyed following Celica in her quest for peace throughout Echoes. Smart and sharp-tongued, Clair has no qualms about saying whatever comes to her mind. 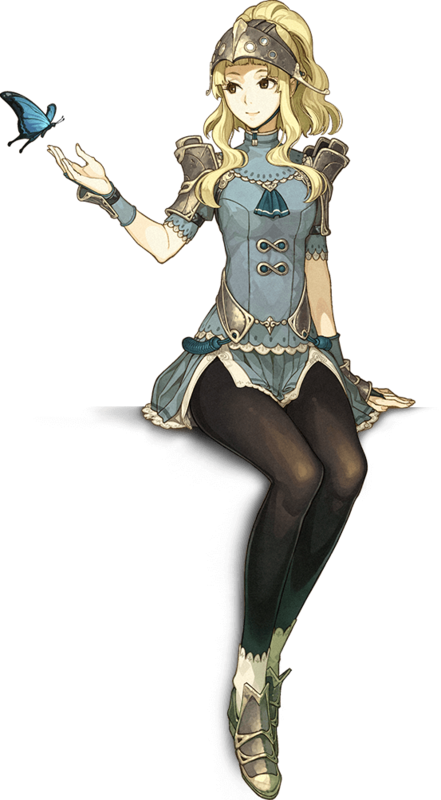 Clair’s strong will and confidence makes her an appealing character who stands out among many of the female characters in the game. Unlike Faye, Clair is far from one-note and boring; her feelings are rich and complicated, and the strides she takes to sort them out is admirable and given the time it deserves. I liked her Supports with Gray because of how quick she is to deny his flowery words and supposed romance for her outright. Clair demands respect as a fighter and strong woman, and doesn’t appreciate being seen as an object for men to ogle and call beautiful. She still embraces her femininity and nobility, but also strength and independence. And when Clair does have a soft side, it doesn’t take away from her convictions, instead accentuating them by giving her multiple layers of personality and thought. Clair is among one of the most interesting characters in the cast because of the many different ways that she expresses her feelings, and she was among one of my best units too. I was pleasantly surprised with how much I came to like Delthea. She is portrayed as the typical cheerful yet snarky teenager, but unlike in most games, her borderline arrogance is justified because of her amazing magical abilities, making her stand out as one of the best mages in the entire game. Despite what her brother Luthier tells her, she doesn’t take her powers very seriously at all, and rather than use her talents for the greater good, she selfishly shirks the duties expected of her. Instead, Delthea wants to be seen as an equal, rather than someone who is above everyone because the power she wields. Her dynamic with Luthier is really great as well because of how much it resembles real sibling relationships. They may argue but still care about each other all the same. 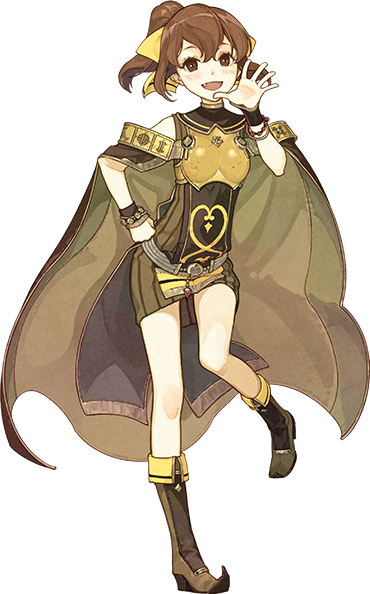 I also liked when Delthea was revealed to have sealed away her magical powers in order to live as an ordinary woman in the credits. It concluded her character arc of acceptance and duty beautifully. Flamboyant and eccentric, Leon is confident with who he is and openly expresses his romantic feelings for Valbar and men in general. I was concerned about Leon’s unrequited love for Valbar falling into trope territory in their Supports, but Echoes handled it in a mature way. Rather than be desperate for Valbar to love him back, Leon is fully aware that he doesn’t feel the same way and isn’t upset by it. He still loves the man who saved him from deep despair and depression, and it adds a level of maturity and acceptance to his character. Leon may be a romanticist that falls in love easily, but instead of forcing his feelings onto others, he uses it as a catalyst for helping people. Leon’s interest in men is no doubt emphasized, but his character is not weak or demeaned because of it, and the fact that his sexuality is never called into question is a relief. In his Supports with Kamui, I was half expecting his feelings to be questioned or even challenged, but Leon’s confidence and openness on the topic instead made the conversations extremely entertaining. Echoes took a risk by characterizing Leon as gay (since most Japanese games don’t handle this particularly well) but luckily, Leon is an admirable character because of how he openly wears his heart on his sleeve. Leon remains true to himself no matter what, and because of that, he became my favorite in an already excellent cast of characters. What’s interesting about Kliff is his transition in personality between the prologue and the main story. He starts off as an emotional and sensitive boy who is scared to fight, but once the first chapter begins, he is seen as much more cynical, sarcastic, and a bit aloof. Kliff is most notably the only character from the prologue to experience this kind of dramatic change in personality, and it feels realistic. As much of a loner as he claims to be though, he does have a soft side that he reluctantly shows, and that helps convey the caring emotions he used to have as a boy. He definitely would have been among my top 5 characters if he was involved in the story more, and I really wish he was. 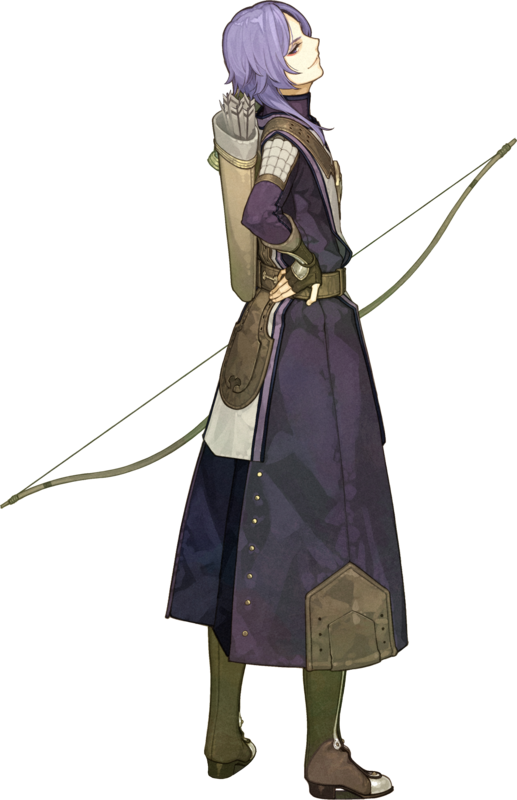 Sadly, Kliff’s role in Echoes is of little consequence, but I find that he’s a great character even with his limited presence. This is what apathy looks like. The mysterious older brother of Celica, Conrad has a strong but kind personality. He takes on a persona as the “Masked Knight,” often acting serious and cryptic, but around his sister he lightens up and becomes more goofy and relaxed. The flashback of Conrad and Celica’s childhood was adorable and seeing them try to be brother and sister again after so many years apart is really satisfying. I wasn’t expecting to like Conrad as much as I did once he lost the mask, but he completely won me over with his charming and genuinely sweet personality. Saber is the typical aloof mercenary who cares about gold and little else, but under the surface is a very caring man who looks out for the well-being of everyone in the group. He joins Celica’s group out of sheer curiosity involving her convictions and decides to stick around to see where it goes. 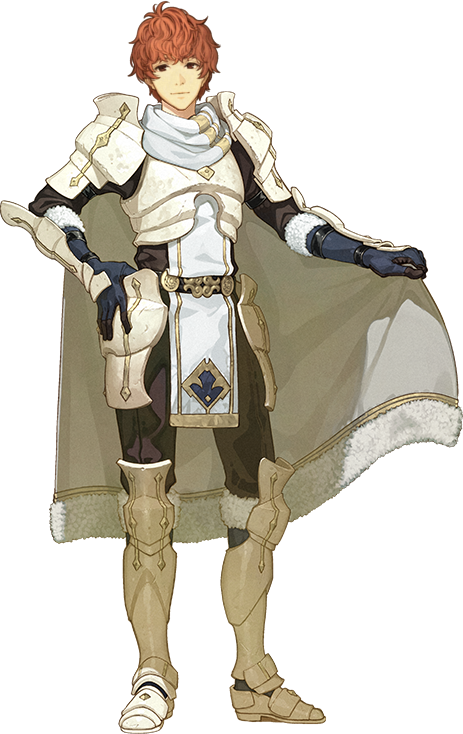 He takes on a leadership role as well, often supporting Celica while also being a voice of reason. I didn’t expect Saber to take on such a big role in Celica’s story, and because of that I really came to like his character as well. He was a total boss in my playthrough, killing all the witches and taking names. Delthea and Clair are cool. I also have a soft spot for Alm’s stalker. Delthea and Clair are fun! I like them a lot. As for Faye…I historically haven’t loved any of the stalker characters in the series (Tharja, her clone in Fates, etc), but I did want to like Faye at first. I really did cause she seemed really cute and sweet in the prologue, but her lack of personality outside of stalking him for the rest of the game was just too much for me hah hah. It’s a shame cause she has a good design and voice acting, but…ah well hah hah. Nice to see another fan of Leon! He’s awesome.